Commuter rail service disruptions, subway delays, and traffic in the New York City-area aren’t getting better any time soon. Penguin Random House Audio wants to transform your commute from one of the most stressful parts of your day to one of the most thrilling, funny, or productive. 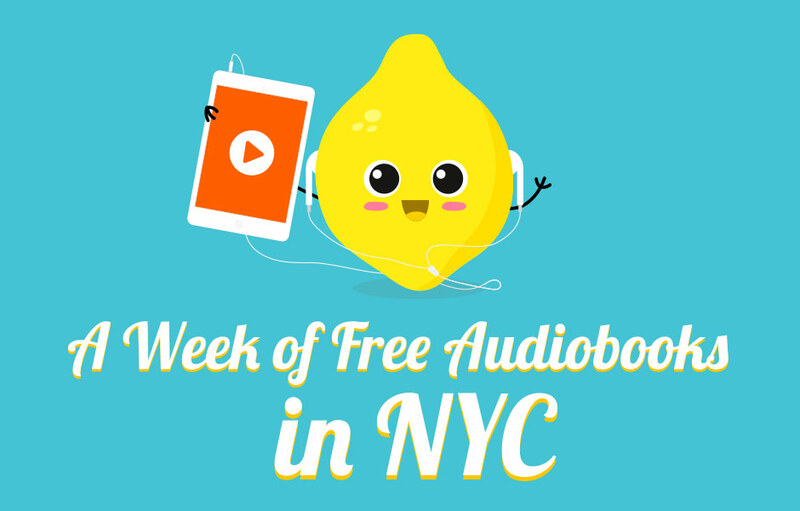 From June 5th through June 9th we’ll be providing free audiobook downloads to commuters who visit our lemonade stands around the city, serving up a sweet summer treat and a different listen from 11 a.m. to 7 p.m. each day. So come by one of the following locations and enjoy a lemonade slushie on us, as well as a great listen for the ride home! Can’t make it to one of these locations? Visit our Transform Your Commute page for a free full download of Pride and Prejudice and enter to win our commuter sweepstakes!